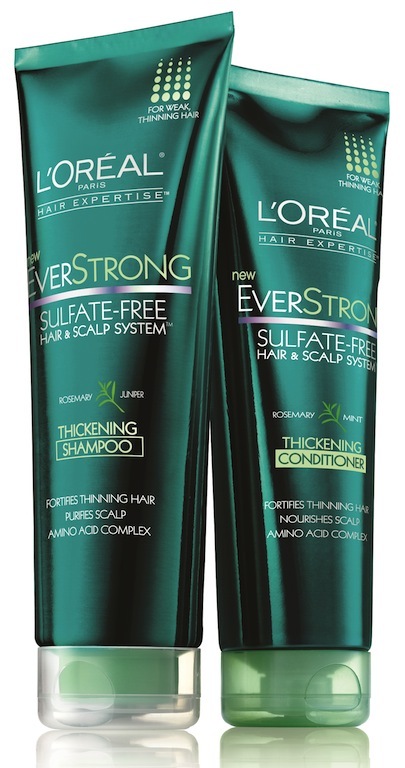 L’Oreal Everstrong Sulfate-free Hair and Scalp System Reviews | beauty. bikes. 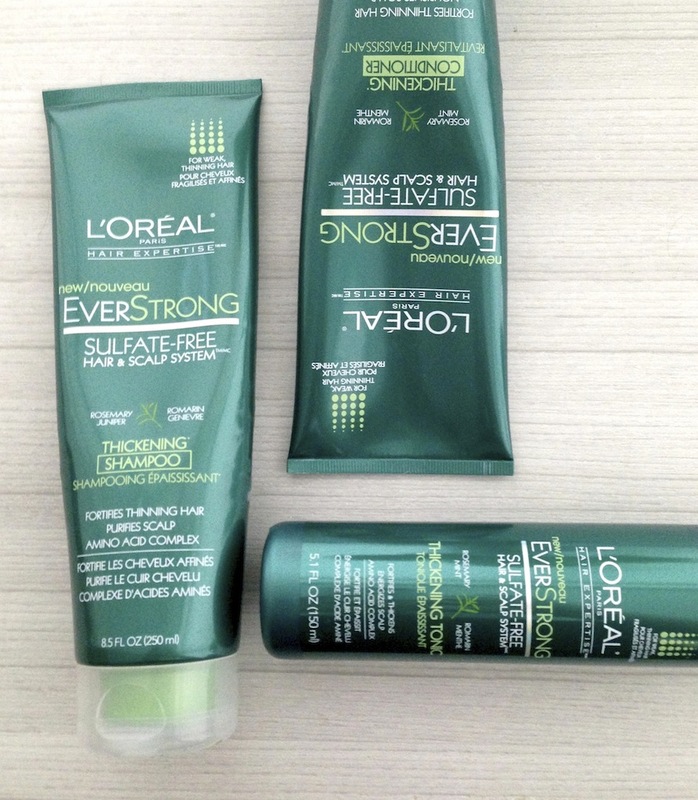 For the last month, I have been trying out the new L’Oreal Everstrong Sulphate-free Hair and Scalp System, which consists of a thickening shampoo, conditioner and tonic. I was introduced to this range during a botanical-themed blogger event, where we learnt more about scalp health and how most people tend to neglect it. 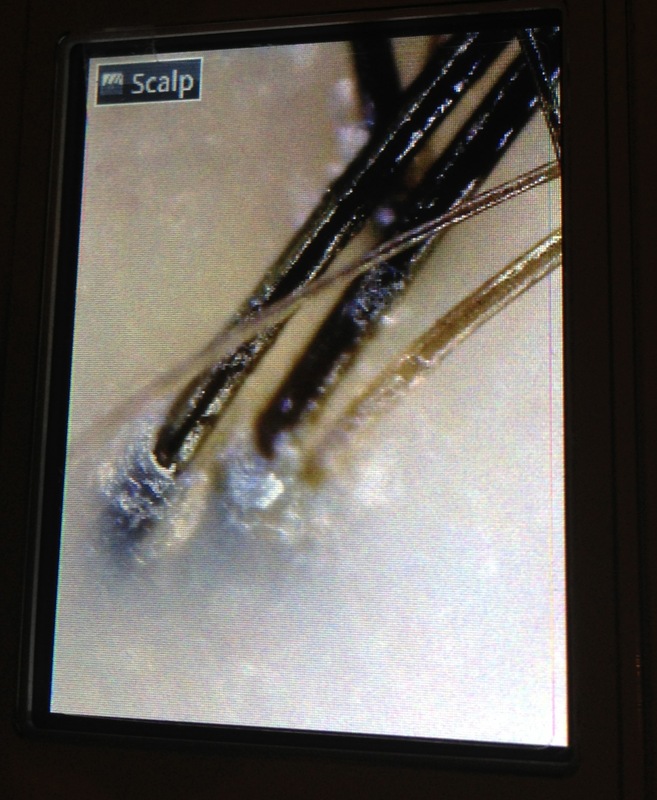 What you can see from your scalp analysis – amount of sebum, thickness of hair at the roots, and any scalp issues. Although initially skeptical about how effective a sulphate-free range would be (I’m used to chemicals and all! ), I had a good experience the first time I tried it, so I continued using it. Firstly, I have a sensitive scalp. The only shampoo that I have been regularly using previously is the Kerastase Bain Vital Dermo-Calm for sensitive scalps. The Everstrong thickening shampoo was gentle yet frothy – a surprise since I thought sulphate-free shampoos do not foam easily. The scent of the shampoo and conditioner is fresh and “green”, it smells like rosemary, a botanical ingredient found in the range, and feels very slightly minty. The conditioner left my hair soft and hydrated, a surprise too, as previous thickening conditioners I tried weren’t as nourishing. After I towel-dried my hair, i tried the tonic, which I love the bottle design of. 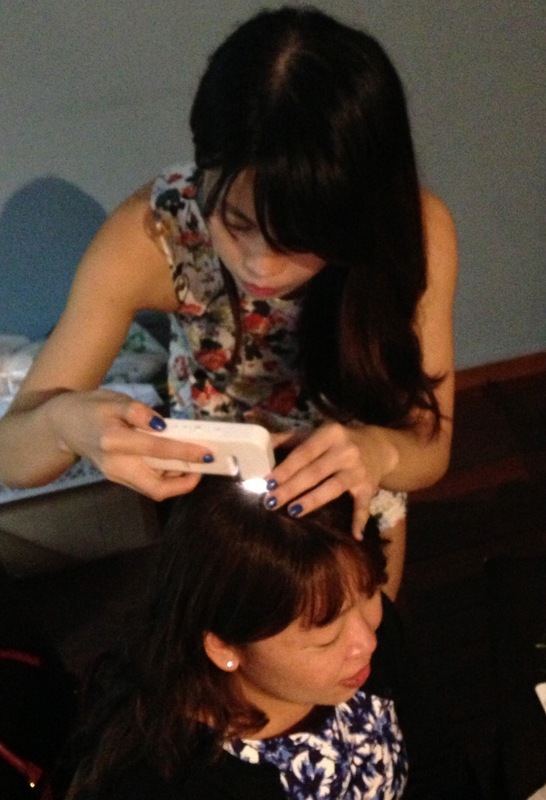 It’s so handy, with a nozzle attached to a spray, so you can easily lift your hair and spray it onto the scalp. It left a more “shiok”, refreshing feeling than the shampoo did. I massaged it in and being a non-rinse formula, it’s weightless and doesn’t leave a trace once it dries. The only gripe I have is that there are no instructions on how much to spray. I have a feeling I’m spraying too much because after just one month, I’ve gone through about half a bottle already. The experts at L’Oreal suggest you use this tonic after every hair wash so that you can see results quickly, and I have to agree with them. In the last month, I see much less hair fall each time I wash my hair, and my bathroom floor isn’t littered with strands of hair. I also love the fact that such natural ingredients can be so powerful. “My limp tresses needed some major revitalizing from the harsh, dry Boston weather. This specific EverStrong line claimed to thicken thinning hair and give volume to your locks. I love the fact that it’s sulfate-free, paraben-free, and 100% vegan. The aroma of the shampoo is a major factor to me. The infusion of rosemary and juniper was pleasant and subtle. I used about a quarter-sized amount and it was more than enough. Available at major pharmacies and departmental stores in Singapore. Tags: conditioner, everstrong, haircare, hairstyling, loreal, shampoo, tonic. Bookmark the permalink. Previous post ← Cycling in Sheffield – Huh, what? Wait till you watch this video.